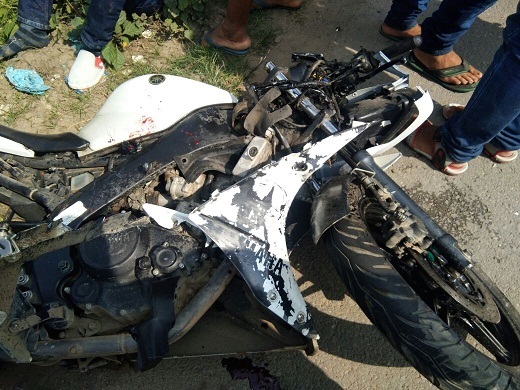 Two motorcycle borne youths died while another girl injured critically in a road mishap at Powai under Digboi Police Station in Tinsukia District on Monday. The deceased bikers were yet to be identified while the injured pillion rider was identified as Trivenita Borgohain of Digboi. According to sources, the incident occurred when the two motorcycles collided head on at NH 38 at Powai area under Digboi Police station. The injured was immediately rushed to nearby Margherita Civil Hospital for treatment.